The general affairs of the ALTG are overseen by the Management Advisory Committee (MAC), elected by members and chaired by the ALTG President. If you would like to be involved in the ALTG Advisory Committee or a sub-group committee, please contact us so we can discuss this further. Associate Professor Nick Pavlakis is a medical oncologist with 20 years of experience in the field of oncology, clinical and translational research, with a special interest in the development of new cancer drugs. 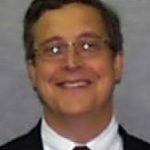 He has worked in private oncology practice since 1998 and has been a practice member of the Northern Cancer Institute since 2001. A/Prof Nick Pavlakis is current Chair of the Lung Cancer Group of the Clinical Oncologic Society for Australia (COSA), and is Regent for Australasia for the International Association for the Study of Lung Cancer (IASLC). 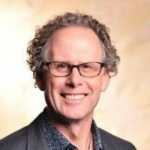 He is conducting ongoing collaborative clinical research with the Australasian Gastro-intestinal Trials Group (AGITG), ALTG as a President, Australia and NZ Urologic and Prostate Cancer Trials Group (ANZUP) and translational research with the Bill Walsh Cancer Research Laboratories/Kolling Institute. Dr Paul Mitchell holds the positions of medical oncologist at the Olivia Newton-John Cancer and Wellness Centre at Austin Health in Melbourne, Director of the North-Eastern Melbourne Integrated Cancer Service (Cancer Network), and is an associate professor at the University of Melbourne. Dr Mitchell was President of the Australasian Lung Cancer Trials Group (ALTG) 2012–2016 and has been involved in clinical and laboratory research for over 20 years. He is Chairman of the Thoracic Alliance for Cancer Trials (TACT) which brings together national and trans-national lung cancer trials groups. He also sits on the State Government Cancer Quality and Outcomes Committee and the Program Assessing Committee of the Health Research Council of New Zealand. Professor Ben Solomon is a medical oncologist in the Lung Service and the Head & Neck service. He is the Group Leader of the Molecular Therapeutics and Biomarkers Laboratory in the Research Division. He completed a PhD investigating the mechanisms by which EGFR inhibition enhance the effects of radiation, and subsequent postdoctoral studies at the University of Colorado investigating novel predictive markers for therapy with EGFR inhibitors. 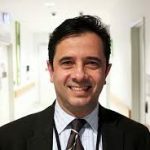 Professor Solomon practices as a medical oncologist with a research focus on clinical and translational research in lung cancer and head and neck cancer at Peter Mac. His clinical trial work focuses on the identification of novel therapies for lung cancer. Presently Respiratory Physician, Wyong Hospital. Previously Physician and lung cancer lead Peterborough Hospital, UK and member of lung cancer Team at Papworth Hospital, Cambridge UK. Respiratory physician and lung cancer lead Royal Hobart Hospital and clinical lead for Tasmanian Clinical Cancer Network. If you are interested in this role, please contact us. TCRN Consumer Advisory Committee (CAC) member Sue McCullough has been a voice for cancer patients and their families for nearly 15 years. After being diagnosed with lung cancer in 2003, Sue saw first-hand that there was a lack of support services for lung cancer patients within the health care system. Instead, she said, clinicians were focused solely on getting patients to stop smoking. Lillian Leigh is a Sydney lawyer, wife and mother. For over a decade as a consumer advocate, Lillian provided legal services to disadvantaged people in Australia. When she was diagnosed in her early 30’s with a rare lung cancer, advocacy for lung and rare cancers became her new passion. Lillian is a consumer member of Cancer Australia’s Priority-driven Collaborative Cancer Research Scheme (PdCCRS) Grant Review Committee, the Australasian Lung cancer Trials Group, and Lung Foundation Australia’s Patient Advisory Committee. She is also a volunteer advocate for Rare Cancers Australia and Cancer Council NSW. In December 2016, Lillian received a Patient Advocacy Award at the 17th World Conference on Lung Cancer Conference in Vienna. Rajesh Thomas is a specialist in Respiratory and Sleep Medicine with interests in lung cancer and pleural diseases. He has completed a post-FRACP clinical fellowship in lung cancer in 2012 at Sir Charles Gairdner Hospital. Rajesh is currently enrolled for a PhD (University of Western Australia) while undertaking a research fellowship in the Pleural Medicine Unit with Prof Lee. From 2014 to 2016 he completed a clinical fellowship in lung and head & neck malignancies at the Peter MacCallum Cancer Centre in Melbourne. Laird has been treating lung cancer at Auckland Hospital since his return to New Zealand in 2016. 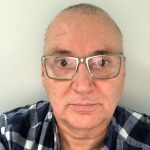 He is the New Zealand representative on the Australasian Lung Trials Group and is committed to improving the health of New Zealanders with cancer through active involvement in research. 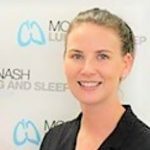 Sara McLaughlin-Barrett is a Lung Clinical Nurse Consultant at Monash Health. She has extensive experience with lung cancer and mesothelioma patients across all modalities of care (respiratory, thoracic surgery, medical oncology, radiation oncology and palliative care). Sara has worked in both the public and private sector as a Lung CNC. Sara was the project manager for the Victorian Lung Cancer Redesign Project for Monash Health in 2016/2017. She has a passion for improving healthcare services and decreasing delays to treatment. 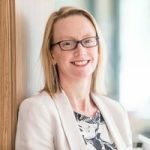 Dr Melissa Moore is a Medical Oncologist at St Vincent’s Hospital in Melbourne, Victoria, and specialises primarily in cancers of the breast, lung and upper gastrointestinal tract. Melissa is trained as a Medical Oncologist (Cancer Specialist) and has a practice located in Fitzroy. Dr Allcroft is the Director of Mycroft Sleep Diagnostics, a South Australian company dedicated to the provision of sleep studies to metropolitan and rural South Australia. He graduated from Flinders University in 1989, and completed Specialist Physicians training in Respiratory and Sleep Medicine in 1997. He is a Senior Staff Specialist at Daw Park Repatriation Hospital in the Palliative Care Service, and a Lecturer in the School of Medicine Flinders University. 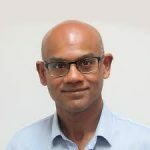 Associate Professor Shankar Siva is a Radiation Oncologist and NHMRC fellow at the Peter Mac and leads the Stereotactic Ablative Body Radiotherapy (SABR) program and Australia’s first dedicated SABR clinic. He completed his PhD with the Molecular Radiation Biology (Martin) Laboratory focusing on translational investigations in precision high-dose lung radiotherapy. 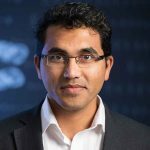 Shankar leads multiple clinical trials in the treatment of lung and urological cancers at the Peter Mac, and is chair of three TransTasman Radiation Oncology Group (TROG) studies in the fields of oligometastases, lung and kidney cancers. He is Co-Chair of the TROG Genitourinary Group, is an executive member of Radiation Oncology Research Committee (RORC) of the Royal Australian and New Zealand College of Radiologists (RANZCR) and Management Advisory Committee (MAC) of the Australasian Lung Cancer Trials Group (ALTG). 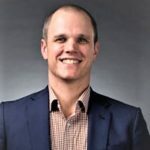 Dr Stone is a graduate of the University of Sydney and practices as a Staff Specialist Thoracic Physician at St Vincent’s Hospital Sydney and is Chair and founder of the St Vincent’s Lung Cancer Multidisciplinary Team at the Kinghorn Cancer Centre. She has subspecialty interests in clinical lung cancer care, the effect of multidisciplinary team care on lung cancer outcomes and on the impact of tobacco control policies on respiratory health. Dr Stone runs a specialist Lung Cancer Clinic at the Kinghorn Cancer Centre at St Vincent’s Hospital, participates in clinical lung cancer trials at both Principal and Co-Investigator levels and collaborates in translational research across multiple institutions. 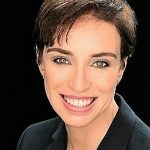 She holds a number of executive and committee positions including Head Elect, Thoracic Oncology Assembly of the Asian Pacific Society of Respirology, member of the IASLC Tobacco Control Committee, member of the Program Committee for WCLC 2018 and is an Associate Editor for the Journal of Thoracic Oncology. Dr Windsor is a Fellow of the Royal Australasian College of Surgeons and also a Diplomate of Thoracic Surgery of the University of Strasbourg, France. He is the Director of Thoracic Surgery at both TPCH and Royal Brisbane and Women’s Hospital (RBWH). Dr Windsor also chairs RBWH’s Lung Cancer Multidisciplinary team. His practice involves assessment and treatment of all thoracic pathology with a focus on lung cancer management. Dr Windsor is also involved in research activities in early detection and treatment of lung cancer and database and quality in thoracic surgery.